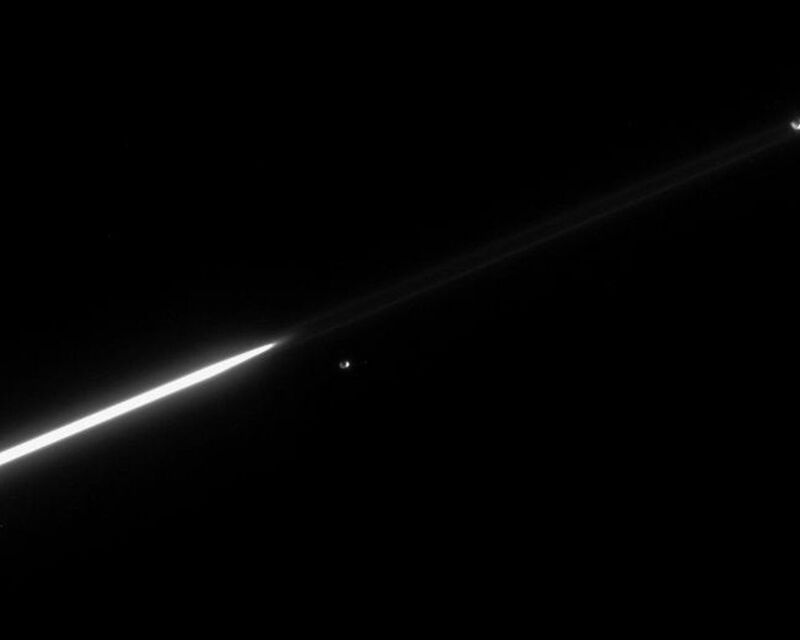 Janus and Epimetheus continue to separate, following their orbital swap in January 2006. Until 2010, Janus will remain the innermost of the pair, whose orbits around Saturn are separated by only about 50 kilometers (31 miles) on average. The faint F ring extends across the image; Janus appears directly between its near and far edges. 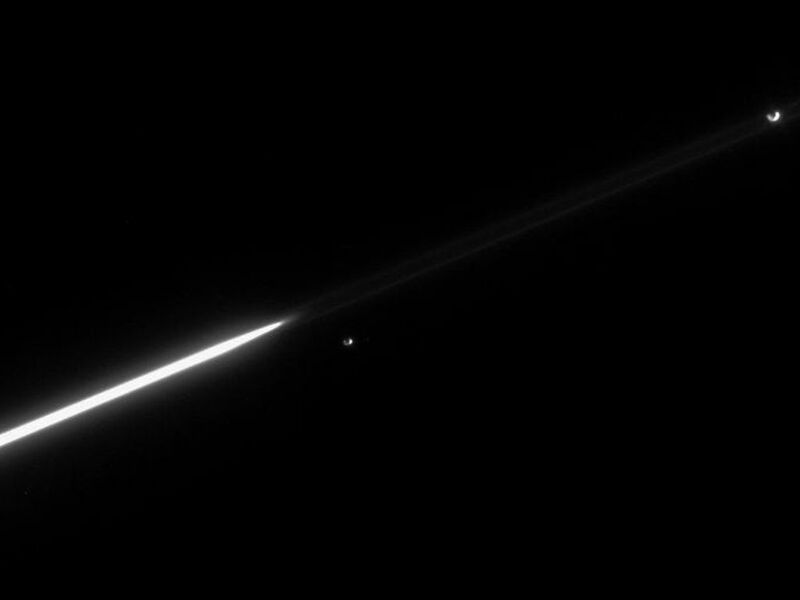 The image was taken in visible light with the Cassini spacecraft narrow-angle camera on April 16, 2006, at a distance of approximately 3.7 million kilometers (2.3 million miles) from Saturn. 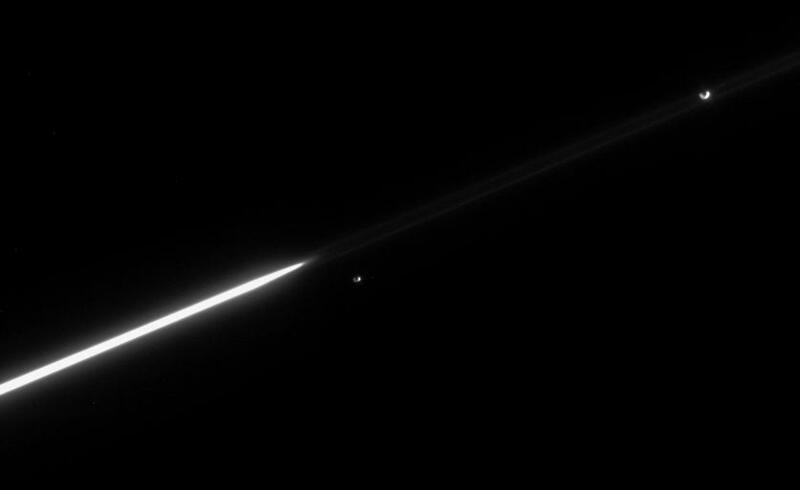 The image scale is 22 kilometers (14 miles) per pixel on Janus and Epimetheus.